It is entirely possible that some of my friends will think that I’m just trying to portray an ultra-Texan image within this post – but I am not. The fact is, I’ve been extremely busy as of late, and have not had much time to do anything except work and law school. 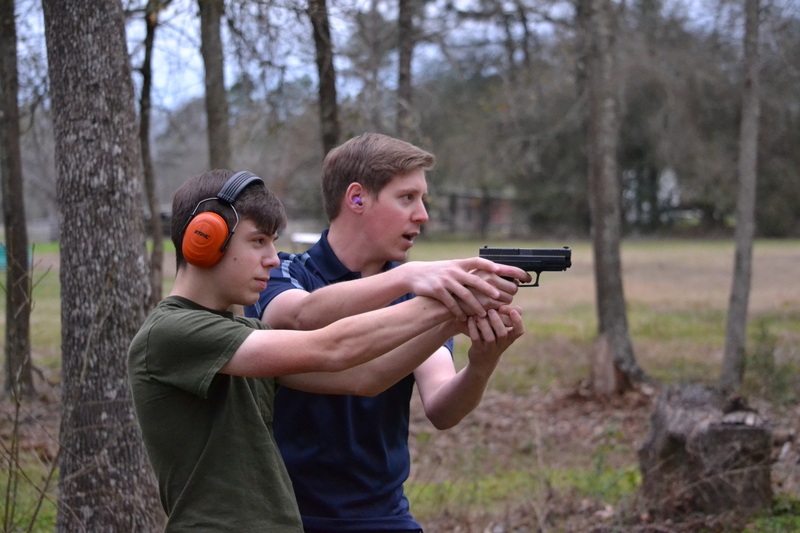 Yesterday, however, Katie and Micah and I impulsively decided to take a little time off from studying and just do what every Texan (surely) does for fun: go to the shooting range (one of our fields). 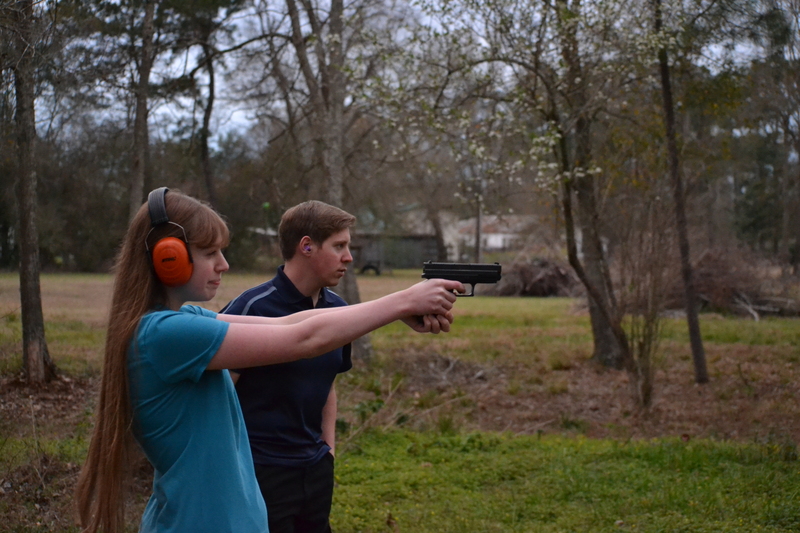 Actually Katie’s been wanting to learn how to shoot for awhile, and Micah is just graduating to the stage of early manhood where he is becoming capable of handling firearms in a safe and responsible manner. I’ve been planning to teach Katie for some time, and it turned out to be a good opportunity for Micah to take a few turns as well. 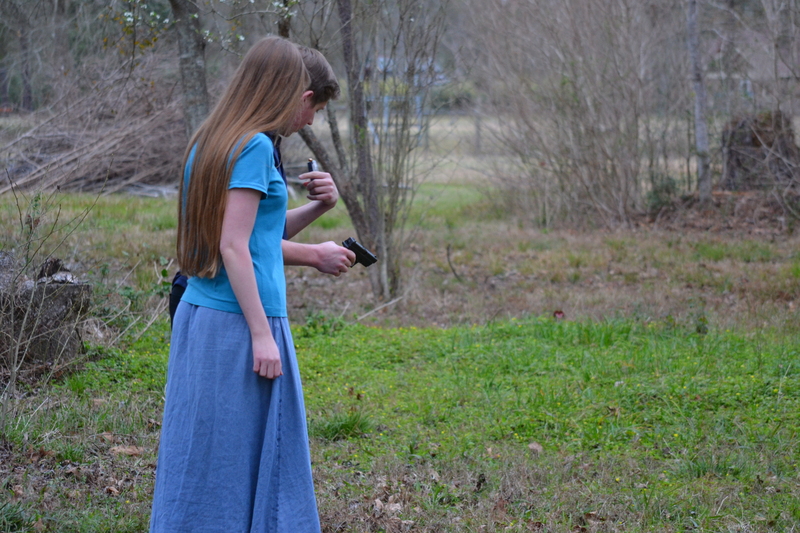 I can say without reservation that Katie is a complete natural with a handgun. 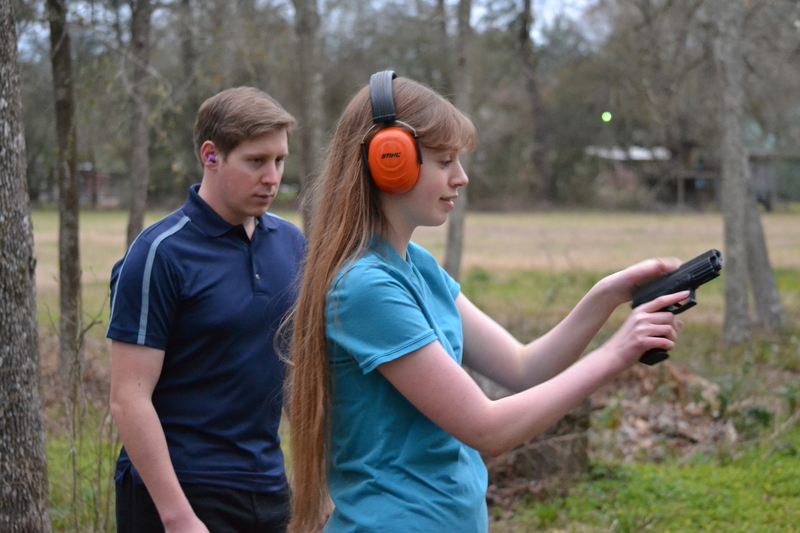 She was very comfortable with my Springfield .40 and turned out to be a very accurate shot at 9 yards. 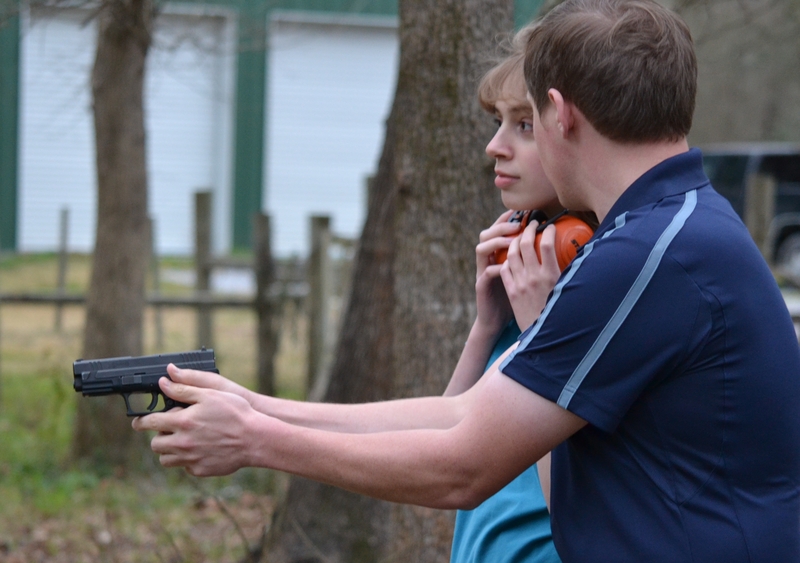 Micah’s accuracy was also very decent at about 8 yards. He impressed me with his comfortable stance and steady finger. He took his time and squeezed off shots in a very methodical way. Each shot was spaced almost exactly the same length of time apart. Most of all it was just a fun, memory-making time. We enjoyed one another’s company, and got to spend a little brother-sister time, while doing something we all enjoyed. Some of my non-Texas friends have already laughed when I told them about this form of relaxing. They weren’t being mean, just thought it was funny that this is what we were actually considering a recreational activity.